After the Kansas state senate took an odd trip to a disturbing part of Oz with the intent of treating for-profit health clubs as equivalent to nonprofit YMCAs under the state tax code, the Kansas House of Representatives brought the state back to a more acceptable place on this side of the rainbow. A House-Senate conference committee on tax legislation pulled the health club tax break. A few supporters of the for-profit clubs in the House, led by Wichita Democrat representative Tom Sawyer, tried to restore the provision, but were slammed in a 108 to 16 vote. In Kansas, the protectors of the for-profit health clubs may have had many motivations, but some were linked specifically to Genesis Health Clubs president Rodney Steven, who distributed some $67,000 in campaign contributions to approximately 70 members of the state legislature. Another representative from Wichita, Republican Dan Hawkins, accepted $1,000 from Steven and argued in favor of a tax break for for-profit fitness clubs because they faced a tax policy inequity—separately, apparently, from his argument that a health club in Topeka had helped him lose 30 pounds. An unrelated article about the YMCA in Kansas City, Missouri, hints at the difference between Y’s and for-profit health clubs. The KCMO Y is exploring whether to purchase and renovate the historic Lyric Theatre, shuttered since 2011, as a new downtown Y and community center. In the proposed design is space for classrooms, meeting rooms, a summer day camp, and a licensed early childhood education center in addition to the gymnasiums, swimming pools, and locker rooms. The Y hasn’t had a downtown facility since 1981. It doesn’t sound like the design of a for-profit fitness center. Notably absent from this list are Gold’s Gym and Equinox, which would be among the top 10, according to observers, but do not release their financials. There are around 2,600 YMCAs in the U.S., and the NonProfit Times ranked the YMCA as the top-grossing nonprofit in the U.S., with total revenues in 2012 of $6.239 billion—$4.556 billion of the Y’s revenues were program income. 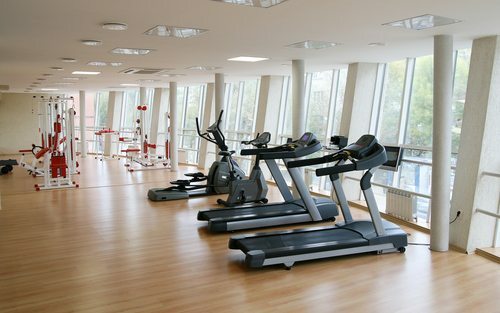 The IHRSA attack on the Ys’ tax exempt status adds particulars such as its contention that 33 percent of Y’s offer no discount membership status for poor people, that the majority of Y revenues come from membership fees—just like, it says, for-profit clubs, that more than three-fourths of Y revenues come from fees and revenues rather than donations, and that almost two-thirds of Y members join exclusively for the health club services. The Y has to do a better job of explaining the multiple services it provides in all of its communities beyond ellipticals and Stairmasters. Those of us who see and experience this dimension of the functions of YMCAs as more than health clubs know it, but in its competition with Bally’s, Gold’s, Crunch, and Health and Fitness, it has to remind the public of its service to the community beyond what any for-profit club might ever deliver. Nonprofit leadership organizations have to better explain how nonprofits earning revenues from program services does not violate their nonprofit status and structure. Nonprofit leaders’ focus on charitable donations has much of the public thinking that is the essence of nonprofit revenues and program support—and, consequently, view nonprofits that rely more extensively on program revenues as somehow less charitable. The Kansas legislature’s argument conflates nonprofits and for-profits as relatively indistinguishable, that the notion of a nonprofit conveys nothing special about the development and operation of a specific program or function. This is the unfortunate implication of the “sector-merging” dynamic of public discourse regarding nonprofits, that for-profits such as “social enterprises” and others that don’t even bother to adopt the social enterprise brand should be treated somewhat like nonprofits if superficially they deliver similar services. This is the big downside of the for-profit social enterprise movement. What to Do When Provocative Art…You Know, Provokes?